One for you and One for a child in need. Thanks for supporting Double Happy. We’ve had such a great response this year that we don’t have any stock left. Great news is that you can order for next season and help us ensure no child goes cold over winter. If you sign up here we will make sure you are one of the first to buy one of our exclusive hoodie designs. Thanks for helping us to keep kids warm. 300,000 Kiwi kids are going to school cold this winter. A snugly warm hoodie to wear to school can make a big difference to a child in need. That's why we started Double Happy. Every order buys one printed kids hoodie or adult crew to keep, and one plain hoodie we'll deliver to kids in need (via their school). This year we have collaborated with local street artists Component and Ithink, who have designed two very cool animal prints: a leopard and a tui. 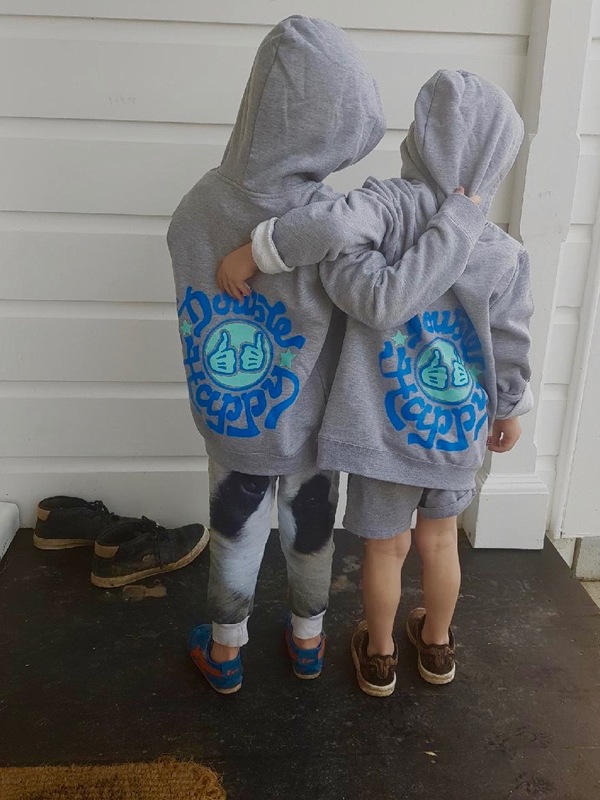 Your kids will love these choice designs even more, knowing they have helped keep another kiwi kid warm. Every order buys TWO: one for you and one warm hoodie for a child in need. 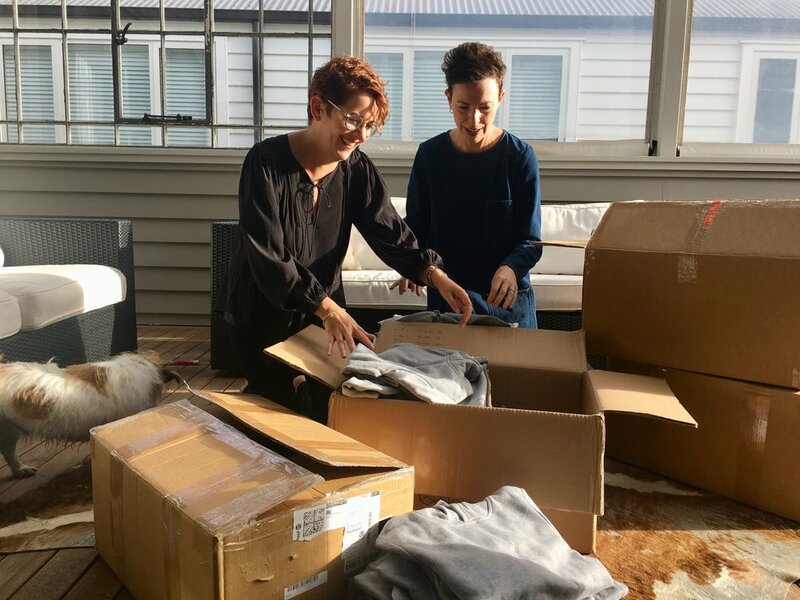 Our hoodies are NZ designed, ethically made, and hardwearing. If you don’t need a hoodie or a sweater yourself but would still love to help, you can order a Double Happy Double-Up, and we’ll give away TWO hoodies to kids in need. This is one of the very best ways to help. 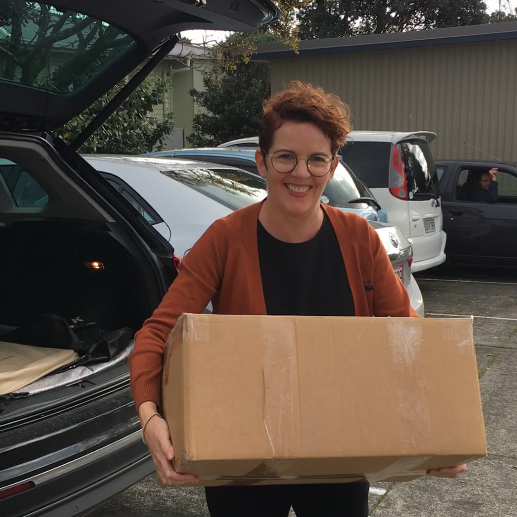 With recent statistics showing nearly 300,000 Kiwi kids are living in poverty, we decided we wanted to help (that's nearly a third of Kiwi kids). We talked to several primary school principals to better understand the needs of these children. While the principals agreed there were already some great initiatives underway to provide basics such as footwear and raincoats, they also raised the hidden issue of sickness and absenteeism. They told us that lack of warm clothing continued to cause health issues for their pupils, and impacted attendance. This is where a little idea like Double Happy can make a big difference for some kids. "This project is all about feeling good. Animals can relate to a mood or a feeling, and kids really get that. I wanted to create something that would appeal to both the parents and the kids – so they buy more and get more hoodies to those in need!" 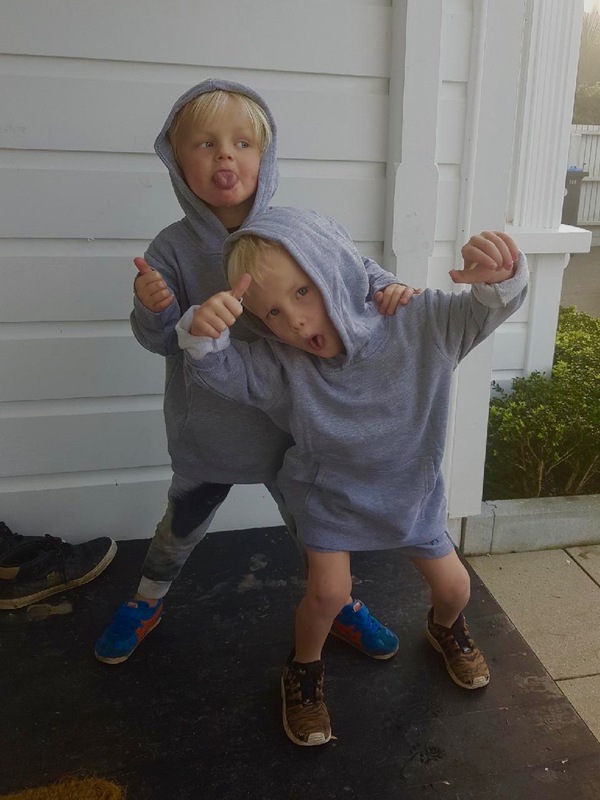 "We look forward to heaps of hoodies being sold and seeing this project continue to grow in the coming years." Component and Ithink work together on art projects regularly both felt strongly about the fact the children are going to school cold. They have children of their own and feel fortunate to have the funds to keep them warm on cold days. THANK YOU TO ALL WHO SUPPORTED DOUBLE HAPPY 2017.